Fits on the r/h inner wing and connects with vacuum hoses to the inlet manifold and the charcoal canister. 3-way solenoid valve, Mazda MX-5 mk1. 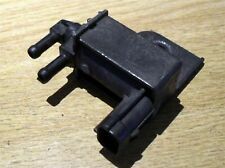 Mazda part number JE16-18-741. free on this item.